The Nike “Black History Month” Collection debuts on Saturday, February 1st highlighted by the Nike LeBron 11 and Nike KD VI. 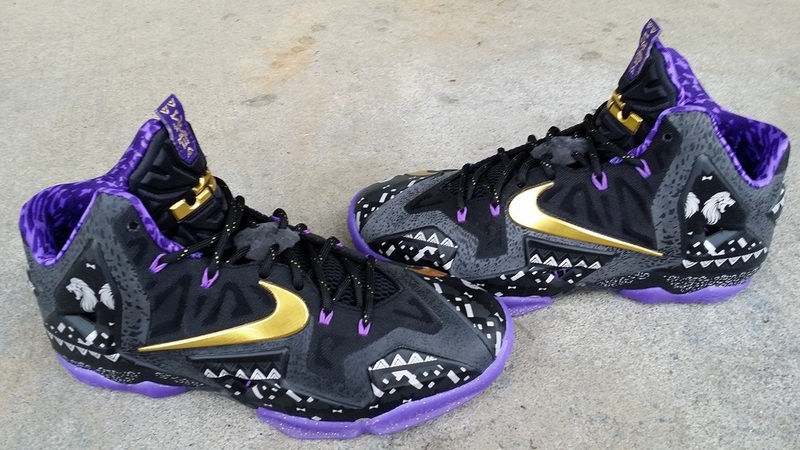 Both pairs feature similar themes but both having different BHM print graphic pattern throughout the uppers in the Black, Purple and Gold color scheme. Check out both Nike LeBron 11 and KD VI “BHM” models below and let us know which pair your looking to score. These shoes we're raffled, but remember everyone If the winner does not show by 11am. It will be up for grabs InStore & PhoneOrders @ Private_inc. Reebok Classic The Rail "BigDog"